Below you fill find all funeral homes and cemeteries in or near Dierks. Dierks is also known as: Howard County / Dierks city. Zip codes in the city: 71833. Herndon-Pharr Funeral Home was organized in 1898 by W.M. Cornelius and his father-in-law, E.G. Porterfield, the great-grandfather of Rufus V. Herndon, Jr. Some of the notable people born here have been: (ben mclaughlin), and (aaron thomas (american football)). 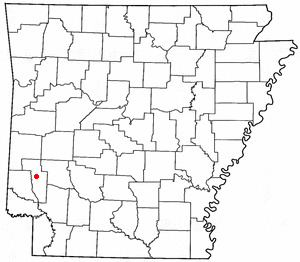 Dierks is a city in Howard County, Arkansas, United States. The population was 1,230 at the 2000 census. It was disclosed by The Star on August 8th, 2018 that Dolores Lavon Hill (Pope) died in Shelby, North Carolina. Ms. Hill was 83 years old and was born in Dierks, AR. Send flowers to share your condolences and honor Dolores Lavon's life. It was written by Klamath Falls Herald and News on July 15th, 2018 that Homer Lee Brown perished in Oregon. Brown was 87 years old and was born in Dierks, AR. Send flowers to express your sorrow and honor Homer Lee's life. It was noted by South West Times Record on May 1st, 2018 that Juanita Christine Legate (Pate) perished in Dierks, Arkansas. Ms. Legate was 65 years old and was born in Yakima, WA. Send flowers to express your sympathy and honor Juanita Christine's life. It was written on December 16th, 2017 that Helen Louise McGalliard (Dinger) perished in Dierks, Arkansas. Ms. McGalliard was 69 years old. Send flowers to share your condolences and honor Helen Louise's life. It was disclosed on December 14th, 2017 that Joyce Janet Sharp (Parker) died in Dierks, Arkansas. Ms. Sharp was 78 years old. Send flowers to express your sympathy and honor Joyce Janet's life. It was written on September 28th, 2017 that Inez Smith (Parsons) passed away in Dierks, Arkansas. Ms. Smith was 103 years old. Send flowers to express your sorrow and honor Inez's life. It was noted on September 20th, 2017 that Barbara Elizabeth Curtis (Downs) perished in Dierks, Arkansas. Ms. Curtis was 81 years old and was born in Pitcher, OK. Send flowers to express your sympathy and honor Barbara Elizabeth's life. It was reported by Texarkana Gazette on August 2nd, 2017 that Amon Bearden perished in Amarillo, Texas. Bearden was 85 years old and was born in Dierks, AR. Send flowers to share your condolences and honor Amon's life. It was reported on July 18th, 2017 that O L Jr Lofton died in Broken Bow, Oklahoma. Lofton was 85 years old and was born in Dierks, AR. Send flowers to express your sympathy and honor O L Jr's life. It was reported on June 5th, 2017 that Margie Pumphrey (Brown) passed on in Dierks, Arkansas. Ms. Pumphrey was 98 years old and was born in Sylvia, KS. Send flowers to express your sorrow and honor Margie's life. The population was 1,230 at the United States Census, 2000 census. Dierks is a city in Howard County, Arkansas County, Arkansas, United States. . . . The official website for the city of Dierks is http://dierkschamberofcommerce.com/. Directory of Dierks Funeral Flowers in AR yellow pages. Find Funeral Flowers in Dierks maps with reviews, websites, phone numbers, addresses, and business profiles. The finest roses, gifts and Mother's Day flowers delivered fresh. Serving Dierks, Arkansas, surrounding suburbs and the entire country. We work with local florists and flower shops to offer same day delivery. You will find budget sympathy flowers in Dierks here. Our funeral flowers are cheap in price but not in value.